The New 2019 South Florida Half Marathon Tour takes you to world-renowned vacation destinations around South Florida. These are six of the most beautiful half marathon courses in the country. In addition to the race specific medal, at the end of the tour you will earn a specially designed, robust Half Marathon Tour medal if you finish 3, 4, 5, or all 6 events on the tour. 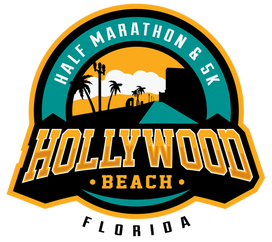 Special awards will be given to those that complete all 6 half marathons! Rankings are determined first by the number of events you complete, then by the most overall points. Overall points are earned by placing ahead of another runner. Example: A race of 500 people, 1st place overall would earn 500 points, 2nd would earn 499 points etc.